Design Fail? Poor Design? Or Just Plain Stupid? This summer holiday we were once again enjoying the delights of hot weather, blue skies and wonderful cool seas whilst staying at my wife’s parents place down on the coast near Perpignan in the south of France (about 20 minutes up from the boarder with Spain). My in-laws have a lovely modest home; comfy, cool and wonderfully located. 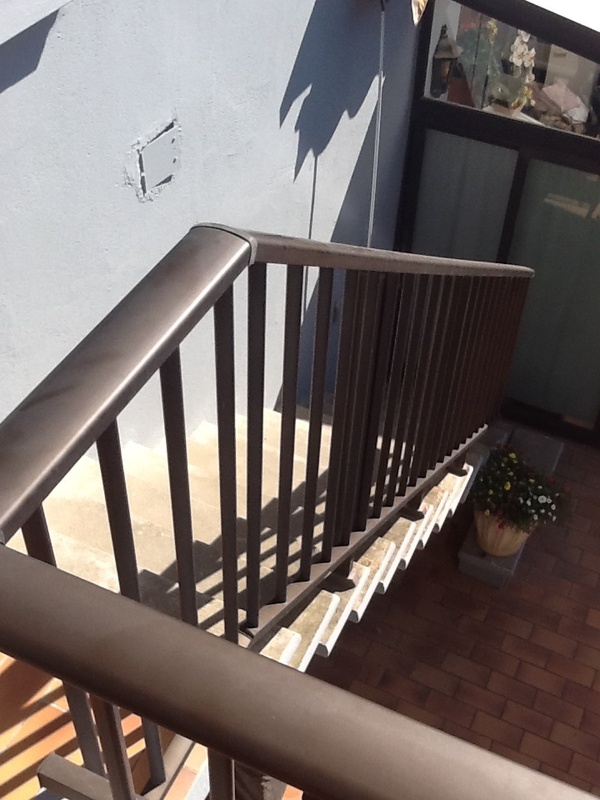 They recently had some work done to increase the outside terrace area and part of this included the fitment of a brand new stair rail for the outside steps. Two reasons for this. Firstly, to stop young grand kids from possibly stumbling through the gaps in the old design and secondly to help the in-laws (both in their 80’s) to get up and down the steps. The stair rail is made out of extruded aluminium. Looks cool BUT when you can get temperatures that regularly reach 36 Centigrade (97 Fahrenheit) and sometimes more during the day, by 10.00am you can’t touch it. In fact, you can probably fry an egg on it. I am angry at this. As a teacher of Design (and Technology) the basic requirements and needs of the customer have been ignored. They were not well advised on what material to use (given the options extruded UPVC would have been better I think) and they were also sold the most expensive option. But hey, it looks cool even if it does not feel cool – ever. This entry was tagged bad design, Design, Design fail, education, poor design, teaching. Bookmark the permalink. ← It’s Not About The Technology. It’s How We Use It. Brilliant.